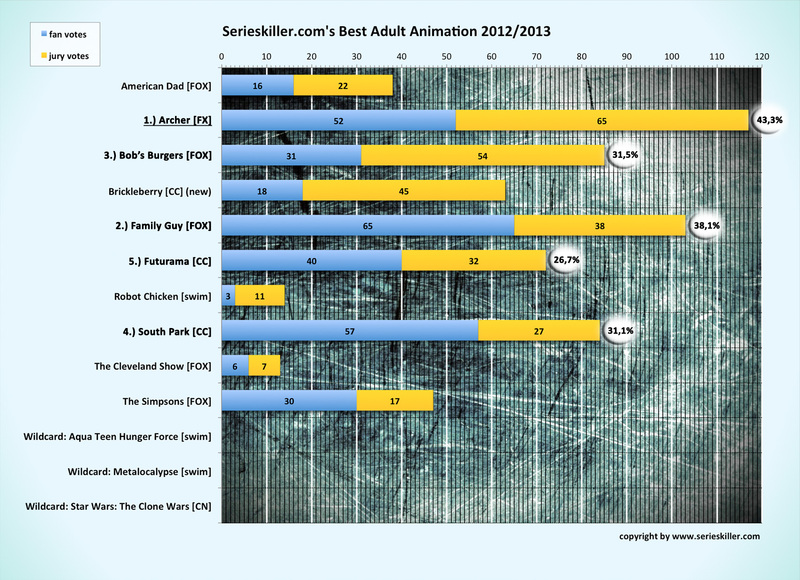 2012/2013: Adult Animation Winners » Serieskiller - Drama is serial! – the best new animation of the last season. 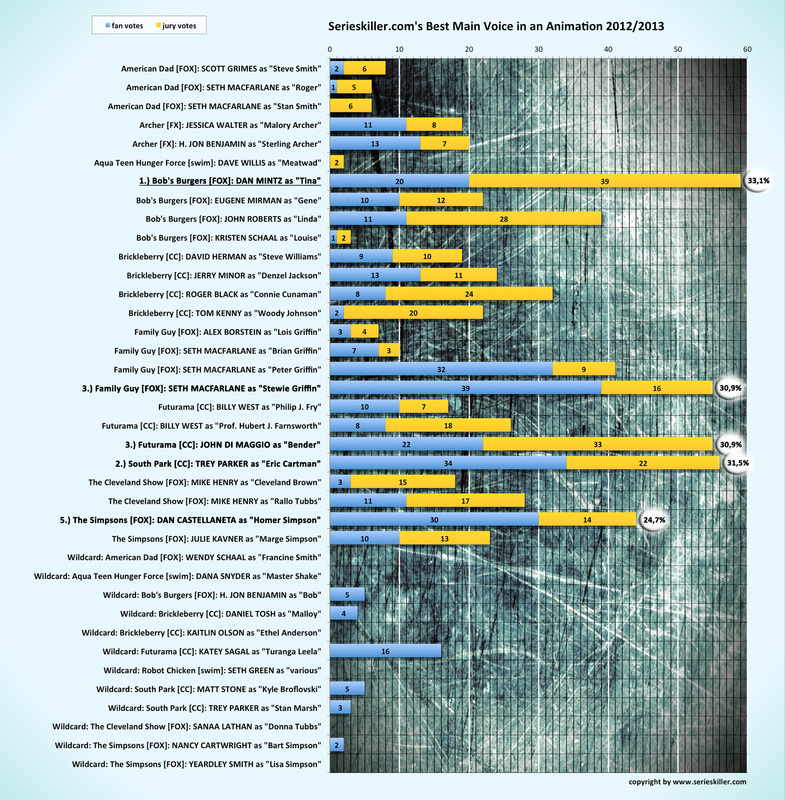 – productions that aren’t targeted at an adult viewership (Adventure Time [nick], SpongeBob SquarePants [nick], Phineas and Ferb [disney] and others). for giving FOX Bob’s Burgers’ main character Tina his voice. 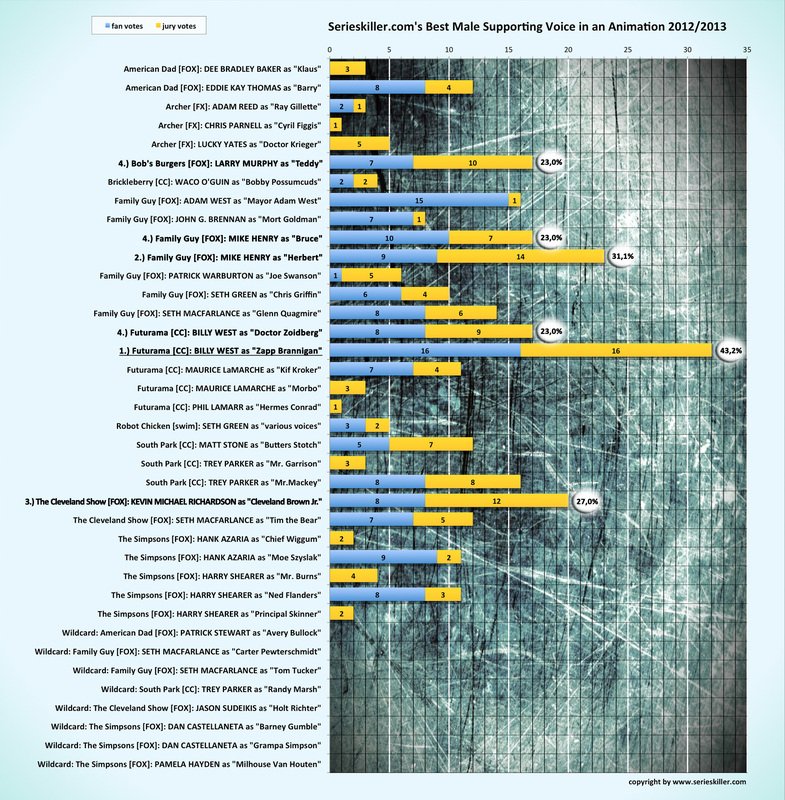 There have been 146 votes by 37 (50%) and therefore 146 additional votes where distributed by the jury of serieskiller.com (representing 37 voters; 50%) to come to the conclusion that the voice acting of BILLY WEST outperformed his competition at enacting Comedy Central Futurama’s supporting character Zapp Branigan in an animation of season 2012/2013. 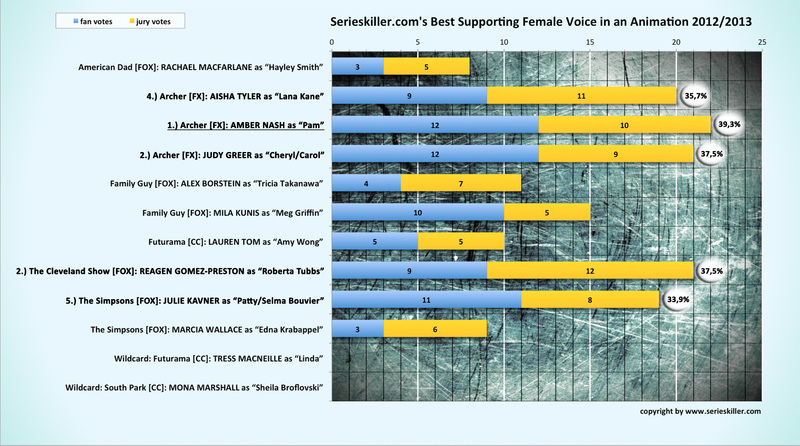 outperformed her competition at enacting FX Archer’s supporting character Pam in an animation of season 2012/2013. 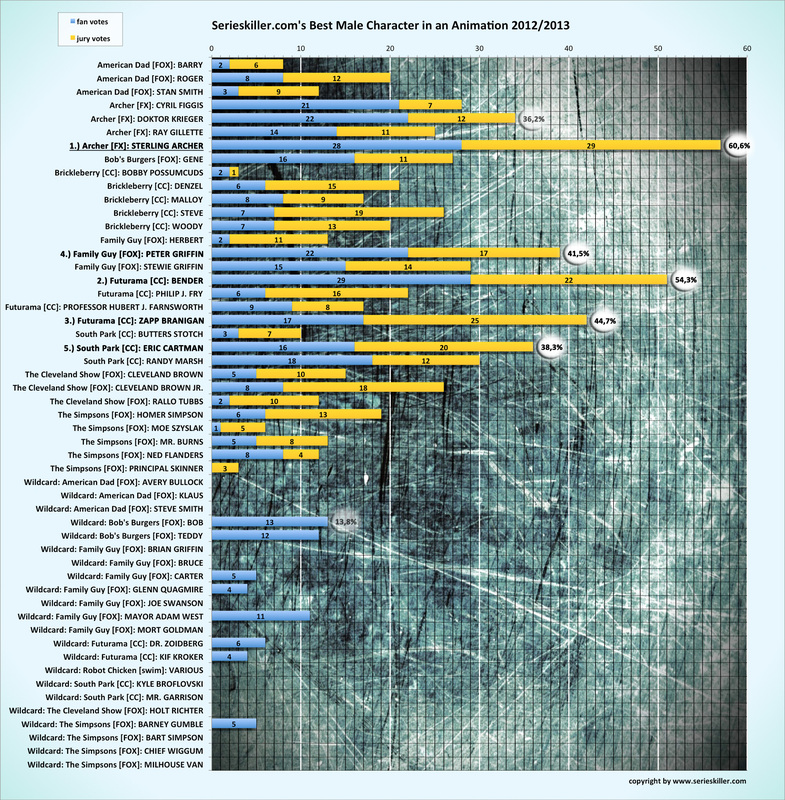 was the best written male character in an animation of season 2012/2013. 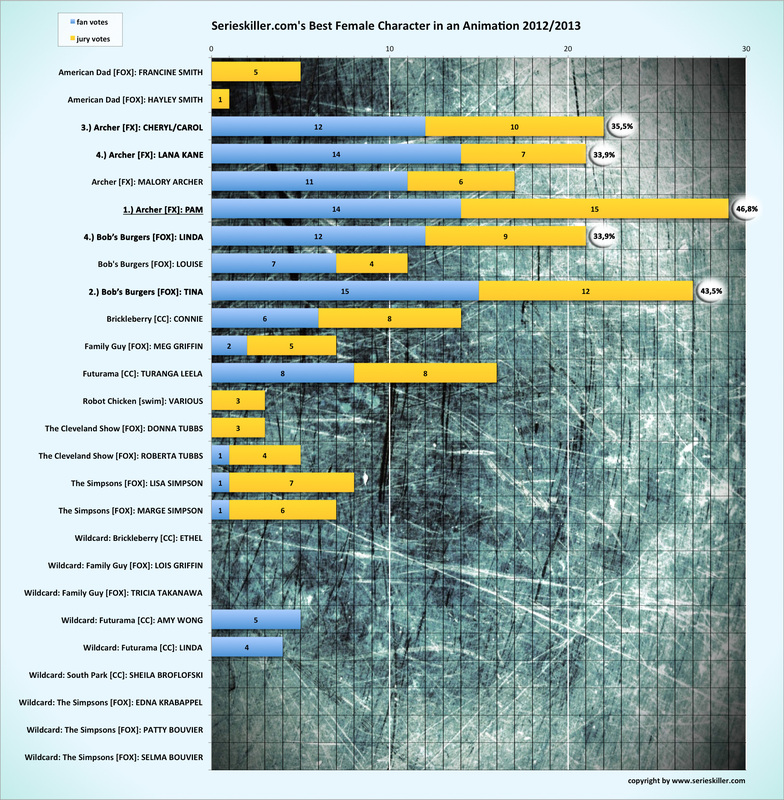 was the best written female character in an animation of season 2012/2013.